This calculator will help you to estimate the tax benefits of buying a home versus renting. While there may be income tax benefits of buying a home, these can be more than offset by the combination of maintenance, real estate taxes & the costs associated with buying and selling a home (appraisal, inspection, real estate commissions, etc. ); thus in most cases it only makes sense to purchase a home if you intend to live in it for many years — preferably for the period of the loan or longer. The tentative new Republican party tax plan for 2018 intends to reduce the home mortgage interest deduction from $1,000,000 in mortgage debt to $500,000 in mortgage debt, while also signficantly increasing the standard deduction to $12,000 for individuals and $24,000 for couples. People with pre-existing mortgage debt will have the old $1,000,000 of mortgage debt interest deduction limit grandfathered in. If you lock in current rates you also lock in the interest deduction, though with rates around 4% a married couple would need over $600,000 in mortgage debt for the itemized interest-deduction to exceed the new standard deduction, while an individual would need over $300,000 in mortgage debt for the itemized interest-deduction to exceed the new standard deduction. When Does It Make Financial Sense To Buy A Home? Home ownership is something that every American dreams about. However, you have to think long and hard before determining if home ownership is right for you at the moment. While you don't gain equity in a property that you rent, you also avoid paying property taxes as well as homeowners insurance. Renters also don't have to worry about homeowners insurance premiums or making a sufficient down payment on a property that they would like to rent. With that in mind, how do you know when it is better to buy instead of rent? When Does It Make Sense To Buy Instead Of Rent? How do you know that it is better to buy instead of rent? Here are a few questions that you should ask yourself if your lease is about to expire and you want to buy instead of spend another year or two renting. Are You Going To Be Staying In The Area? It doesn't make sense to buy a home if you aren't sure that you will still be in the area over the next five years. While it is relatively easy to get out of your lease if you are renting an apartment, it is almost impossible to sell your home if you are transferred to a new city or accept a temporary assignment overseas. How Secure Are You In Your Employment? Do you see yourself working for the same company for the next year or several years? At the very least, do you see yourself making roughly the same salary over the next several years? If not, you may want to hold off on buying a home and stick to renting. What Is The Cost Of Renting As Opposed To Buying A Home? There are several costs that you have to consider when buying a home that you don't have to think about when renting an apartment. For example, you will have to pay taxes, insurance and private mortgage insurance if you don't have a down payment of at least 20 percent at closing. These are all costs that can easily make it more expensive to buy a home as opposed to renting. You also have to think about the interest rate that you will pay to borrow money to buy your home. If the interest rate is above 5 percent, you may want to wait until they come back down. What Are The Tax Implications Of Buying A Home? One of the most appealing reasons to purchase a home is the mortgage interest deduction that homeowners are entitled to. If you are currently paying for private mortgage insurance, there is good news for you as well if you started paying your current mortgage on or after January 1, 2007. Homeowners who are thinking about taking the deduction need to itemize it on their personal tax return. The only exception to that rule is if proceeds from a home loan were used for business purposes. In that case, you would deduct the interest on your business tax return. Additionally, you are eligible to designate a second home as your primary residence in a given year as long as it meets the guidelines set forth by the IRS. 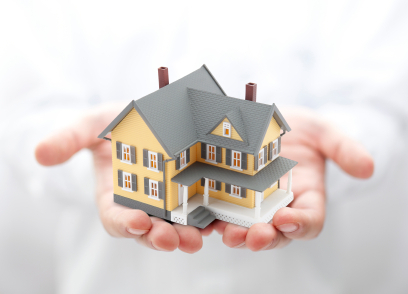 How Is Private Mortgage Insurance Treated? Mortgage insurance policies are eligible for a deduction following many of the rules set forth by the IRS to govern mortgage interest deductions. To qualify for a deduction, the insurance must have been paid on a primary residence for a loan that was originated between 2007 and 2013 as of the 2013 tax year. Are Your Newfound Tax Savings Offset By Additional Real Estate Taxes? The answer to that question is maybe. A potential homeowner isn't going to know how much will be saved by deducting mortgage interest versus the amount of property tax being paid until a house is purchased and the loan is completed. Generally, a city or town that is doing well economically is less reliant on property taxes to put money in its coffers. Unfortunately, the only way to know how much you will pay in property taxes is to look up the actual number in the MLS or by asking a real estate agent. In some cases, a house on one street could cost $2,000 a year in property taxes while a house just a street over could cost $5,000 a year in property taxes. If you have good credit, a large down payment and have a stable employment history, you will get a low interest rate. If you don't have good credit or a large down payment, you will pay a higher interest rate as well as mortgage insurance. In this scenario, being responsible with money could cause you to lose out on the tax breaks that home ownership offers you. Potential property owners who pay low property taxes and high interest rates on their mortgage could benefit the most when it comes to the mortgage interest deduction. Someone who pays $2,000 in property taxes yearly while paying $5,000 a year in mortgage interest still nets $3,000 at the end of the year. On the flip side of the equation, someone who paid $5,000 in property taxes and qualified for a $2,000 mortgage interest deduction would actually lose $3,000 a year. Another appealing reason to buy a home is to sell it for a profit several years down the road. Assuming that you got a good deal on your home and the housing market stays relatively stable, you can sell your home for as much as $50,000 or more in profit just a few years after you buy it. Currently, you can avoid paying capital gains taxes on the first $250,000 of profit from the sale of your principal residence. How does this help you financially? Let's assume that you make $150,000 a year and have owned your home for longer than a year. On an ordinary investment, you would have to pay 15 percent on the profit from the sale of your home. If you made $100,000 in profit, you would have owed the government $15,000 in taxes. However, in this case, you would owe the federal government nothing. Depending on what state you live in, you may have to pay state capital gains taxes from the sale of your home. Overall, you still come out ahead by several thousands of dollars if you in the 25 percent tax bracket or higher. Borrowers in smaller tax brackets can come out ahead as well assuming that they owned their home for less than a year. On a short-term capital gain, those in the 10 or 15 percent tax bracket would have owed 15 percent on all capital gains. Assuming the same scenario as above, you realize the same savings of $15,000 in federal taxes. 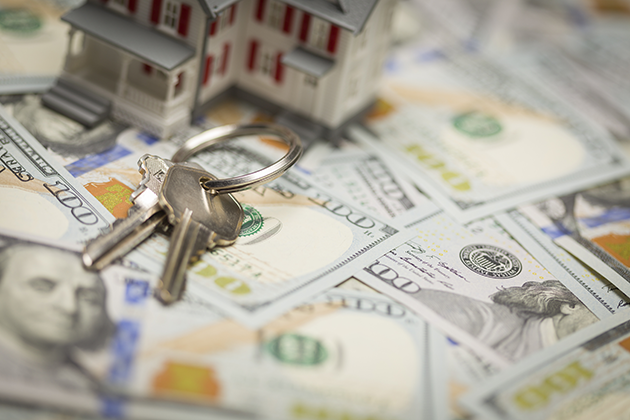 Investors who buy and sell real estate can avoid paying capital gains taxes by investing through an IRA or any other self-directed retirement account. Another benefit for investors is the ability to avoid paying income tax on all rental receipts that are placed into a retirement account. For those who are looking to diversify beyond stocks and bonds, owning a rental property or two is a great way to accomplish that goal. If you decide that you want to sell for a profit in the future, you have the power to do so as the owner of the home. A 1031 Exchange stipulates that a property owner can sell a property and invest that profit into another like-kind property. The new property must be used to run a business or for some other productive activity. The theory behind the rule is that an investor does not actually make a profit if that money is then invested into another property. As long as you follow the rules, you could potentially shelter yourself from federal and state capital gains taxes indefinitely. Fortunately, you don't need to be a professional real estate investor to take advantage of this rule. If you are a homeowner who runs a daycare from your home, you may be able to buy a larger house without paying capital gains taxes if your run your daycare or other home business from your new house as well. There are many tax benefits to owning your own home. You can deduct mortgage interest as well as private mortgage interest. The key is to make sure that you are not having your interest deduction offset by the amount of property tax that you must pay in a year. If you are making less than $100,000 in a year, the mortgage interest deduction is your best friend. If you are making more than $100,000 a year, you will benefit in the long-run due to reductions in capital gains taxes. Regardless of who you are, owning a home is a huge step in your life that allows you to grow roots in the community while reducing your taxes at the same time.